Based on the original version of the Hobbit. Dori: We should have gone with him! Thorin: To be roasted alive? Dwarves: [Bilbo comes out] It's the burglar. Dori: Free cheers for good old Bilbo. Bilbo Baggins: Thank you. But I'd appreciate a more pragmatic salute. In other words... EXTINGUISH ME! Q: What was Durin's Day? 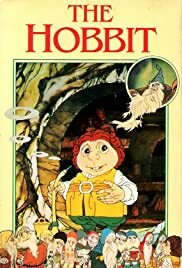 I saw the Rankin/Bass 'Hobbit' for the first time when I was about eight or nine years old. I was enchanted by the movie, and I credit it with motivating me to read 'The Hobbit' and later 'The Lord of the Rings', thereby transforming me into a lifelong Tolkien fan (albeit not as die-hard as some, I admit). This is probably the highest praise I can give it. * The movie, I now realize, was seriously hampered by time constraints. The creators attempted to squeeze a very eventful novel's story into a two-hour TV movie, with commercials. The result is that everything seems very hurried, events are piled on top of each other with great speed and moments that ought to be savored get rushed. Also, the periodic fade-outs/fade-ins for commercials are distracting. * A product of its time, the movie is wall-to-wall with songs, most with lyrics written by Tolkien, one written originally for the film, all sung to '70s folk ballad melodies. Tolkien's elves should not sound like hippie chipmunks. * The '70s context also gives the movie a strongly pacifist message. All scenes of fighting are rendered, somewhat awkwardly, so as to avoid any actual blood or carnage (a mortally wounded character will be glimpsed in a freeze frame that will then spin into a blur, mirroring the character's disappearance from this life, I suppose). Speeches about the glory of war are presented so as to make the advocates look ridiculous. None of this is a bad, and is even refreshing, but it is the work of Rankin/Bass, not Tolkien. * Some of the key players are perfect: Orson Bean as Bilbo, John Huston as Gandalf, Richard Boone as Smaug and Theodore as Gollum bring great life and character to the movie. The one-on-one scenes between Bilbo and each of the other three are easily the best part of 'The Hobbit'. Overall, the movie is best suited for the audience for whom it was intended, children. Kids will probably like it, and might even want to explore Tolkien further.